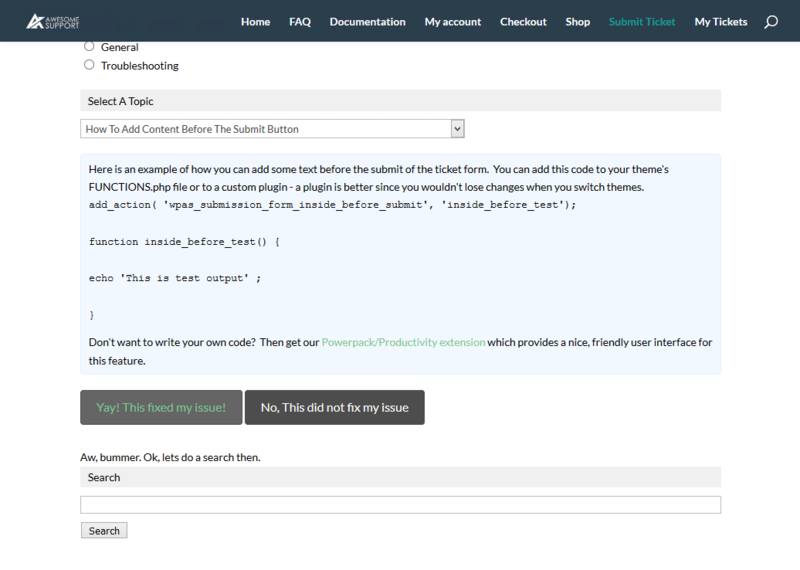 Have you ever wanted to make sure that your users searched through your FAQs, Documentation and other help resources before submitting a ticket? This add-on makes sure that happens. 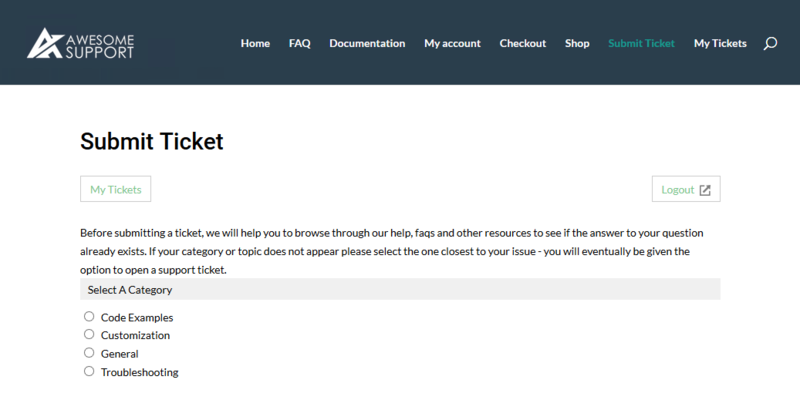 Many tickets are opened even though the answer to the users question is already present in your documentation and FAQs. 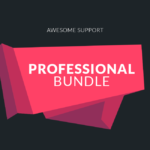 This extension makes sure those resources are utilized before a ticket is opened. 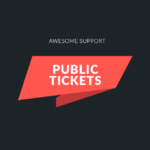 By doing this, you can easily reduce your ticket volume. Here is the full sequence of what a user will experience when this add-on is installed. 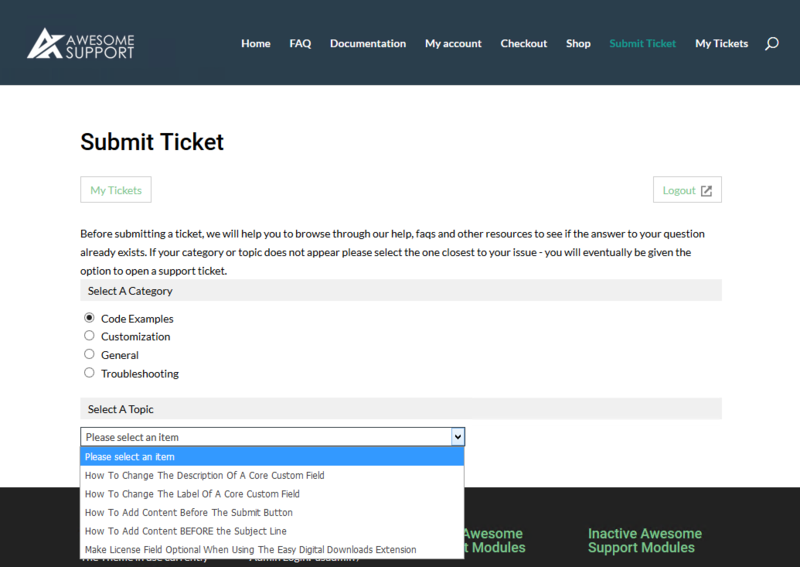 Before a user is allowed to submit a ticket, they are presented with a Category List from post types you choose (FAQs, Documentation and Posts are all options that can be enabled). After the search is complete, they will be presented with a button that says “I still need to open a ticket”. If they click that button, they will then see the standard ticket screen. 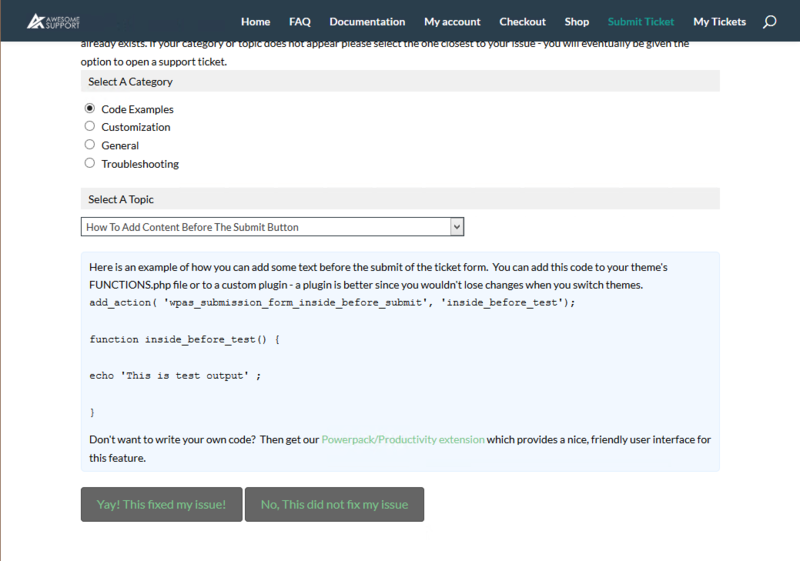 The Awesome Support administrator is given a lot of control over the sequence and terminology displayed to the user. For example the admin can choose to turn off the search option completely. Or they can choose to turn off the initial category and topic sequence, opting for just the search instead. In addition, the admin has the ability to configure the terminology shown on the screen – for example, they can change the terms used for “Category”, “Topics” and other labels. If the SMART REPLIES add-on is enabled, then the search engine used in it will power the search function of this add-on. 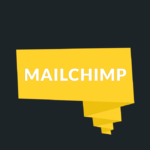 With this integration the search option can be driven with Google’s Artificial Intelligence engine! This add-on requires that you have either or both FAQs or Documentation installed. 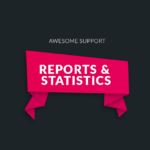 Awesome Support 5.2.0 or later is required for this item.